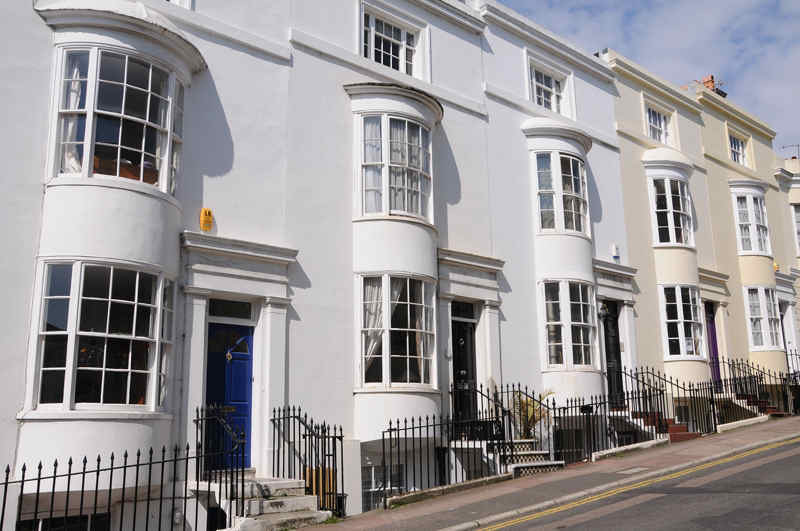 Hampton Place was developed in the 1820s and has an attractive terrace with balconies and Ionic pilasters on the eastern side of which nos.8-28 and 32-34 are listed. The western side is lined with bowed houses, with nos.15, 19-21, 25 and 29-39 listed. Temple Street was laid out in the next decade, the 1830s, with attractive three-storey terraces. 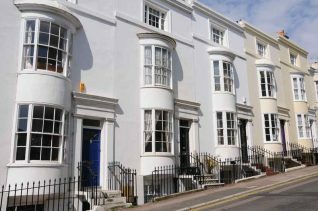 Nos.2, 29, 31, 37 and 42, all with narrow bows, are listed buildings, while no.7 is included on the council’s local list.